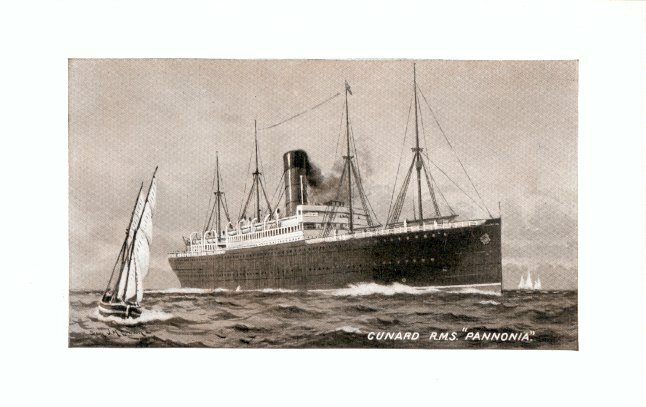 Laid down at John Brown & Co., Glasgow, for Sir Christopher Furness, Pannonia was bought on the stocks, and was launched for Cunard in 1902. 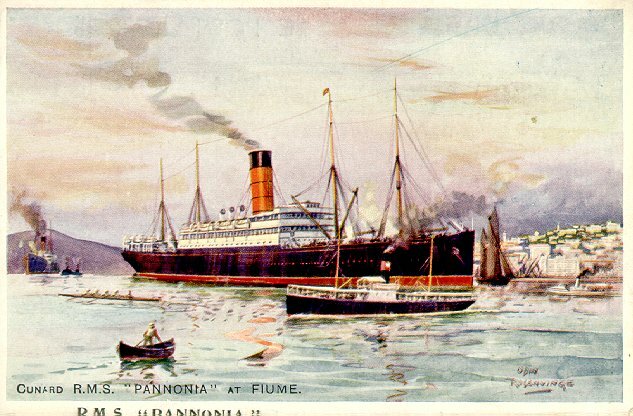 Pannonia's maiden voyage on 15 May 1903, was a positioning trip from Glasgow to Trieste. 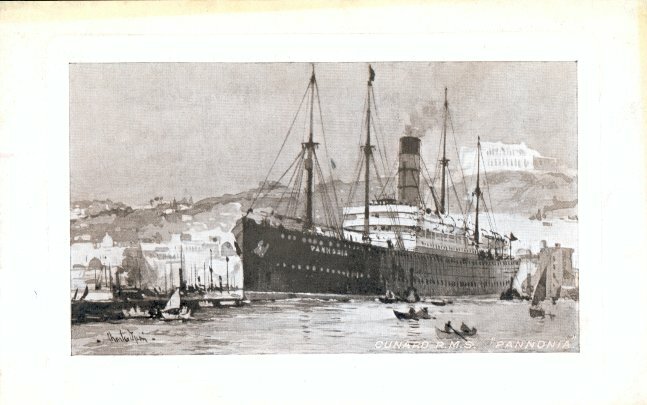 From Trieste, she entered Cunard's service to Fiume, Palermo and New York on 28 May 1903. She remained on that service until 1914, and was then chartered to Anchor Line to replace ships which had been requisitioned for armed merchant cruiser duties, and made four Glasgow-New York roundtrips for Anchor. For the rest of World War I she remained on the New York service, although her point of departure was at various times St. Nazaire, London and Liverpool. She returned to the Mediterranean service from 1919 to 1921 before a final stint on the Liverpool-New York berth beginning in November 1921. Her final Atlantic roundtrip in April 1922 began at Liverpool, but terminated at Hamburg, where she was scrapped.